Please add any personalization you would like to include for this item. 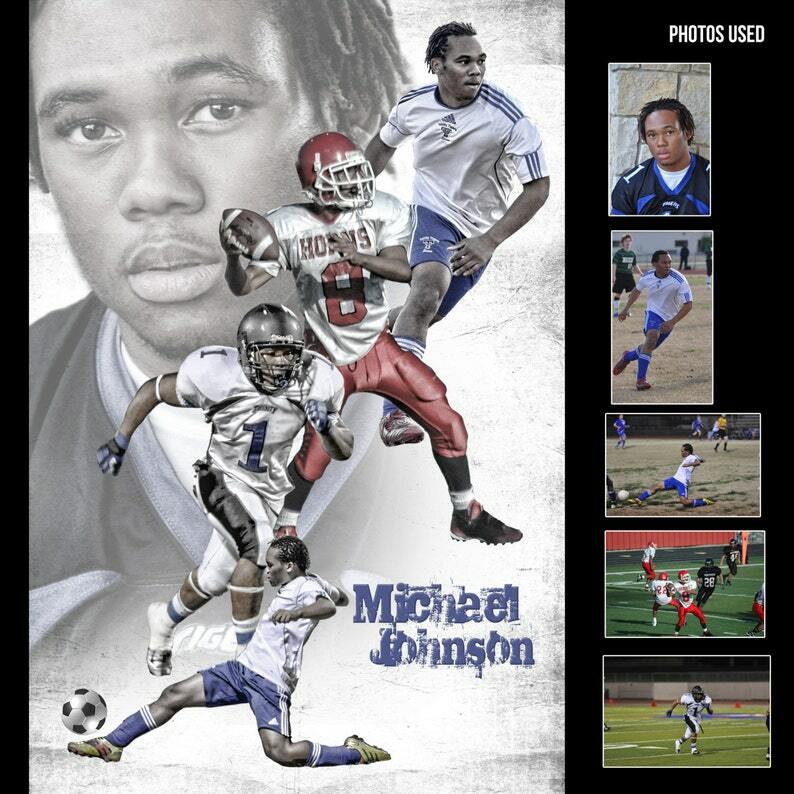 Turn your child or anyone into a professional sports star by having a custom sports poster made of them. I can design a custom poster for anyone with any type of Sport, Hobby, activity or anything that you want to capture for a lifetime. These posters are completely custom made for you and not made from a template like all of those other cheap sites. I create a totally unique design that is personally made for you or your loved one that you will not see anywhere else. 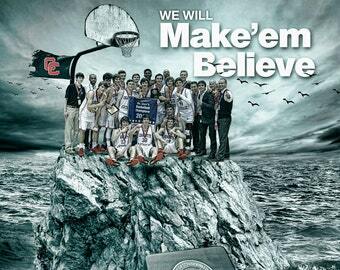 We take your supplied photos and create a totally unique sports poster of your loved one. I can help you capture a special memory for a lifetime. I customize your collage with individual team colors, numbers, names, dates, statistics, or however you would like to customize it. I will send you an electronic proof via email and modify the artwork until you are completely satisfied. Once the proof is approved you will receive a high resolution printed poster of your design. Once you have placed your order, you can use the free service at https://wetransfer.com and use the email address info [!at] anythingphotos.com as the recipient. Please supply high quality resolution photos as this will effect the final product. Original digital files are preferred and any cropped, modified or images taken from the web or social media is discouraged. I reserve the right to cancel the order if the supplied photos are not acceptable quality. After I receive your order and photos, normal turnaround time for a digital proof is 48 hours. Your printed order will go out for shipment within 48 hours after I receive final approval of your proof. We do not supply framing because of the issue with glass breaking in shipment. You can get standard size frames cheaply at Hobby Lobby, Michael's or most local art supply stores. This is printed on a poster. We highly suggest printing on metal for the best results. Please send us a custom order request if you want a metal print. We offer team discounts if you order 3 or more posters for the same team. We will design a unique background especially for your team and use that same background for each individual. The price would be the full price for the first poster and design and then $49 for each additional design. The printing cost would depend on the size you are ordering. Please contact us for a custom quote if you are interested in a team discount. "Michael did an amazing job with our high school girls soccer senior posters! Everyone loved them! It was a super fast turnaround and I really appreciate his attention to detail. I would highly recommend AnythingPhotos and he will definitely get my business again next year!" "Huge thanks to the owner for his quick attention to my order...it was perfect and arrived in plenty of time for Christmas. My son loved it! Highly recommend this shop and will buy from again!" "Michael was great to work with. He responded very quickly to my messages and the posters turned out great. The entire process was extremely fast! I had the posters exactly one week after sending Michael my pictures." "Patience and talent. Those are the words to describe this wonderful seller. He sent me numerous proofs and followed up flawlessly until we had an image that I was happy with. The poster is wonderful and I can't wait to see my daughter's face when I give it to her!" even though my order was last minute, i placed my order Thursday, it came Wednesday. fast shipping, excellent communication and excellent customer service. My brother loved the poster. i know i was a pain but Thanks again. Absolutely perfect ! Great communication, would definitely buy from again.